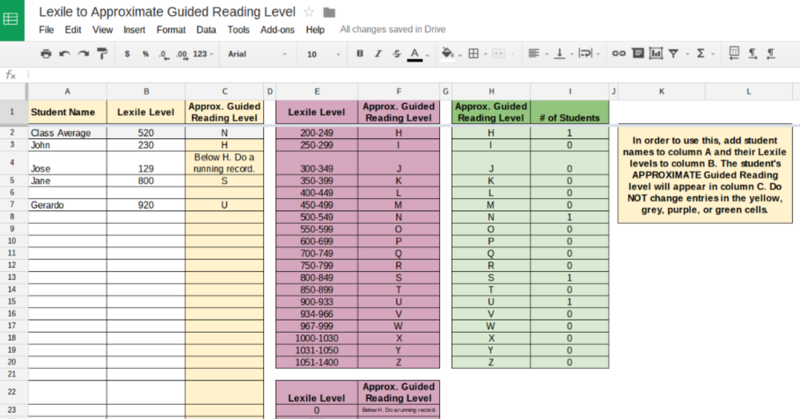 For all of you English Language Arts teachers out there, I've put together a little spreadsheet that makes it easy to convert student Lexile scores to their Guided Reading equivalent. Clicking on the link below will prompt you to create a copy of the spreadsheet for yourself. Enjoy and I hope this helps you get your students to love reading!